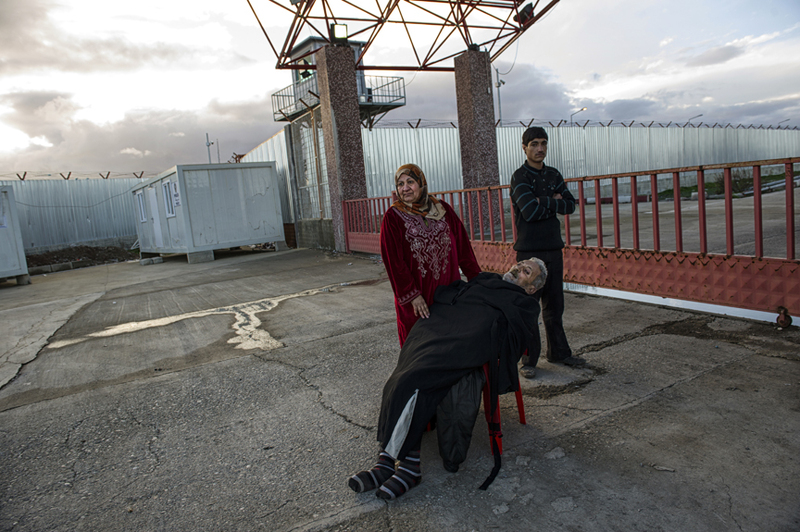 Haloom Burro, 50, stands over her ailing husband, Nasir Noon, 58, as they wait for Turkish paramedics to arrive to decide whether his medical situation is grave enough to take him across the border to a Turkish hospital from the no-mans land between Turkey and Syria next to the Turkish border, February 12, 2013. An estimated 60,000 Syrians have died in Turkey's civil war, and thousands of others have been wounded. Turkey has been actively helping with receiving refugees and treating the wounded.